Lightgliders: Members, Use Your Glidebook Journal! Members, Use Your Glidebook Journal! "It was raining today so I stayed inside. The rain shows me that dirty things can be washed and made clean. It is a picture of forgiveness. I am SO thankful for forgiveness!" I journal at home. This will be fun to do in Glidebook! I never know what to write about...can anyone help? How do I get to be a member and have Glidebook? Hey Lightglider! To become a member, grab parent and click on the golden glider saying "Buy Membership". Follow the prompts and check out all the awesome features that come with becoming a member! 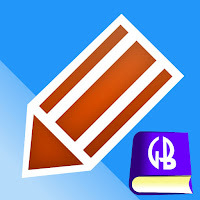 FYI...you also get Glidebook automatically! Certain features (like the journal) become active when you get a membership.